Between October 2013 and October 2018, emergency workers were summoned to Amazon warehouses at least 189 times for suicide attempts, suicidal thoughts, and other mental-health episodes, according to 911 call logs, ambulance and police reports reviewed and analyzed by The Daily Beast. The reports came from 46 warehouses in 17 states—roughly a quarter of the sorting and fulfillment centers that comprise the company’s U.S. network. Jurisdictions for other Amazon warehouses either did not have any suicide reports or declined requests for similar logs. So how many employees does this cover? No answer. Note also the weasel words, jurisdictions which “did not have any suicide reports or declined requests” are not included. So that could mean that a majority of fulfillment centers reported no serious mental health problems. Basically the report is devoid of useful information. As far as I can tell from the report, there were no actual suicides at Amazon warehouses during this time period. Nevertheless, let’s try to do some back of the envelope calculations. Amazon has about 125,000 full time workers in its fulfillment centers but in a typical year they will double that during holiday season so say 250,000 employees in a year. The US suicide rate for working age adults is 17.3 per 100,000 so over five years we would expect 216 suicides and many more “suicide attempts, suicidal thoughts, and other mental-health episodes”. Indeed, the National Institute for Mental Health reports that 0.5% of Americans aged 18 years or over attempted suicide in 2016 so we would expect 6,250 suicide attempts in a population of Amazon-sized workers (250000*.005*5=6,250). Of course, the Daily Beast’s numbers don’t cover all fulfillment centers, most suicides wouldn’t occur at work and there are a variety of other issues so cut these numbers down as you see fit. For any reasonable estimate, however, there is no reason, in this data, to think that Amazon’s numbers are in any way unusual for a large employer. The CDC does have some limited data on suicide by occupation and the real outlier is the construction and extraction industry which has a suicide rate over 50 per hundred thousand, several times the national average. Moreover, if you really want to find out what it’s like to work at an Amazon fulfillment center don’t look at anecdotes, look instead to the over 5 thousand reviews for this job at Indeed.com which gives Amazon 3.6 stars out of 5. Not stellar but not bad either. Costco, one of the most beloved and best ranked employers in the United States, has a rating of 4.2. It’s obvious that there is a political impetus to go after big tech companies. Whatever one’s thoughts about that, we shouldn’t let propaganda infect our decisions. My second worry is that the number of bribery cases suggests that many wealthy Americans perceive higher education to be an ethics-free, law-free zone where the only restraint on your behavior is whatever you can get away with. I suspect that most of those charged in this case never expected they might have to answer in court for their actions. To consider a parallel situation: I wouldn’t dream of shoplifting. Yet I sometimes drive 32 mph in a 25 mph speed zone. Like most of us, I draw a distinction between laws we are expected to follow, and laws we aren’t. To me, the number of people caught up in this scandal indicates that too many Americans do not take seriously the idea that our system of higher education is a set of institutions bound by morality and laws. They take its governing rules as optional and conditional, depending on convenience, much as we do many speed-limit signs. In this case, those charged are mostly wealthy Americans of high social status, not gangsters. They probably thought of themselves as law-abiding Americans, with exceptions so minor as to be negligible. In other words, this case illustrates what a low opinion America has of its system of higher education. As a university professor, I would feel much better if it had been mobsters charged with these alleged crimes. Black lawmakers and activists are blocking a push to legalize recreational marijuana in New York, warning that Gov. Andrew M. Cuomo’s proposal could perpetuate the racial inequality that it purports to fight. The lawmakers — including some of legalization’s most vocal supporters — say that unless people of color are guaranteed a share of the potentially $3 billion industry, in the form of job training, adult education and licenses in the industry itself, there may be no legalization this year. That is from Vivian Wang and Jeffrey C. Mays in the NYT. Michelle Rorich, for her work in economic development and Africa, to be furthered by a bike trip Cairo to Capetown. Craig Palsson, Market Power, a new YouTube channel for economics. Jeffrey C. Huber, to write a book on tech and economic progress from a Christian point of view. Mayowa Osibodu, building AI programs to preserve endangered languages. David Forscey, travel grant to look into issues and careers surrounding protection against election fraud. Jennifer Doleac, Texas A&M, to develop an evidence-based law and economics, crime and punishment podcast. Fergus McCullough, University of St. Andrews, travel grant to help build a career in law/history/politics/public affairs. Justin Zheng, a high school student working on biometrics for cryptocurrency. Matthew Teichman at the University of Chicago, for his work in philosophy podcasting. Kyle Eschen, comedian and magician and entertainer, to work on an initiative for the concept of “steelmanning” arguments. Here is the first cohort of winners, and here is the second cohort. Here is the underlying philosophy behind Emergent Ventures. Note by the way, if you received an award very recently, you have not been forgotten but rather will show up in the fourth cohort. In 1992, the AIDS/HIV “parallel track” was approved as a regulatory change for FDA to allow patients exclusive access to AIDS/HIV drugs that had passed safety tests but had not yet passed all efficacy tests. Other drugs did not have access to this approval option. As a result of parallel track, the highly effective anti-viral drug stavudine was approved, saving thousands of lives. Ed Hudgins in How Extending the AIDS Drug Access Model to Other Diseases Would Save Lives. Theranos was Fraudulent, What About Its Patents? Thomas Edison invented and patented numerous products: the light bulb, the phonograph, movie film and much else besides. (At one point the patent office required that patents be accompanied by working models.) The invention of products typically requires the expenditure of sunk costs in a way that the creation of ideas does not. Today it is not necessary to implement an idea to patent it, and many patentable ideas are so broadly phrased that they could not be implemented in a model. Edison famously said that “genius is one percent inspiration, ninety-nine percent perspiration.” A patent system should reward the 99 percent perspiration, not the 1 percent inspiration. In inventing the light bulb, for example, Edison laboriously experimented with some 6,000 possible materials for the filament before hitting upon bamboo. If Edison were to patent the light bulb today, he would not need to go to such lengths. Instead, Edison could patent the use of an “electrical resistor for the production of electro-magnetic radiation,” a patent that would have covered oven elements as well as light bulbs. Daniel Nazer, who holds the Mark Cuban Chair to Eliminate Stupid Patents at the Electronic Frontier Foundation, points out in an excellent article that giving patents for vaguely stated ideas was exactly the problem with Theranos and its so-called patents. Holmes found a more receptive audience at the USPTO. She says she spent five straight days at her computer drafting a patent application. The provisional application, filed in September 2003 when Holmes was just 19 years old, describes “medical devices and methods capable of real-time detection of biological activity and the controlled and localized release of appropriate therapeutic agents.” This provisional application would mature into many issued patents. In fact, there are patent applications still being prosecuted that claim priority back to Holmes’ 2003 submission. But Holmes’ 2003 application was not a “real” invention in any meaningful sense. We know that Theranos spent years and hundreds of millions of dollars trying to develop working diagnostic devices. The tabletop machines Theranos focused on were much less ambitious than Holmes’ original vision of a patch. Indeed, it’s fair to say that Holmes’ first patent application was little more than aspirational science fiction written by an eager undergraduate. …Two legal doctrines are relevant here. The “utility” requirement of patent law requires that the invention work. And the “enablement” requirement means that the application has to describe the invention with enough detail to allow a person in the relevant field to build and use it. If the applicant herself can’t build the invention with nearly unlimited time and money, it does not seem like the enablement requirement could possibly be satisfied. The USPTO generally does a terrible job of ensuring that applications meet the utility and enablement standards. 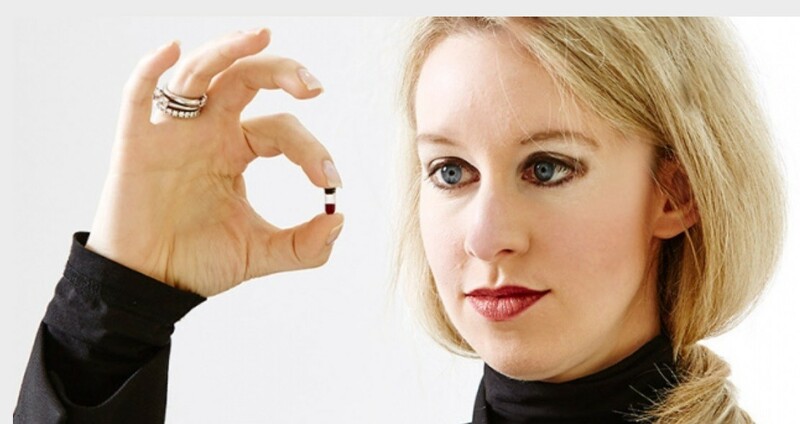 Despite never having built a working product, Theranos accumulated hundreds of patents. These patents are now the only thing of value left but the patents aren’t valuable because of breakthrough science, the patents are valuable because they can be used to force people who do breakthrough science to cough up part of their return. Accused of having lied to investors and endangered patients, the company leaves us with a parting gift: a portfolio of landmines for any company that actually solves the problems Theranos failed to solve. Arlington officials say Amazon’s arrival will boost the number of visitors staying in hotels, motels and other lodgings. Starting in June 2019, 15 percent of any increase in its “transient occupancy tax” would go to Amazon, if the company meets specific targets for how much office space the new headquarters facility occupies. The agreement says Amazon needs to occupy 64,000 square feet of office space by July 31, 2020, in order to qualify for the 15 percent payment. The required amount of space increases to 252,800 square feet by July 31, 2021, and to 5.576 million by July 31, 2034, the last year of incentive payments. Here is more from WaPo. I show that the same bias that causes someone to take an exploitative loan may also imply that the loan benefits them by causing them to purchase a product or service that they should, but wouldn’t otherwise, buy. I demonstrate the importance of this effect in a study of tax refund anticipation loans. I find that regulation curtailing these loans reduced the use of paid tax preparers and the takeup of the earned income tax credit, which is the second largest federal transfer to low-income households. That is from a paper by Andrew T. Hayashi, via the excellent Kevin Lewis. So let me offer this modest proposal: When a child receives government assistance, we should deduct the cost from his parents’ future Social Security benefits. If one parent fails to provide child support, we should deduct the cost from his Social Security benefits alone; otherwise, the parents split the cost. Administratively, this seems quite manageable. Of course, this modest proposal means that many deadbeat dads will have to endure late retirement, but that seems a lot fairer than burdening taxpayers. That is from Bryan Caplan. Oregon Gov. Kate Brown signed into law a first-in-the-nation rent control bill Thursday and called on the Legislature to turn its attention to funding new housing initiatives. Because of an emergency clause, Senate Bill 608′s rent control and eviction protections go into effect immediately. The law caps annual rent increases to 7 percent plus inflation throughout the state, which amounts to a limit of just over 10 percent this year. Annual increases in the Consumer Price Index, a measure of inflation, for Western states has ranged from just under 1 percent to 3.6 percent over the past five years. Here is the full story, via Mike Tamada. If you fear NIMBY, should you favor more immigration? Many of today’s capitalists also want more immigration. Ocasio-Cortez also supports more immigration, which is confusing. According to Ricardo’s economic theory, expanding the population in the current environment will increase the cost of housing, health care, and higher education, just as it increased the price of wheat in the 19th century. This would hurt workers. That is from Ronald W. Dworkin, “The New Rentiers: Ricardo Redux,” in the March/April 2019 issue of The American Interest, not yet on-line. In general, facing up to the policy implications of a strict NIMBY world is something few wish to do. For instance, it seems to me that increases in the minimum wage, even if they initially went along Card-Krueger lines, would end up being passed along as greater benefits to landlords. All sorts of other attempts at amelioration could backfire as well. Or do we live in some kind of intermediate NIMBY world on the coasts, where you get to complain about the land restrictions, but don’t have to live with the policy implications of strict NIMBY? Maybe so! But if so, I would like to see this argued for at more length. In a world of smartphones, should pedestrians have fewer rights? Pedestrian deaths plummeted from 6,482 to 4,109 from 1990 to 2009, federal figures show. Fatalities then rose 45% from 2009 to 2017. The city of Ahlen seized the pug from a family as a way to settle the family’s debt. But the pug’s new owner is now suing the city, accusing it of giving a fraudulent description of the dog in the ad. International organizations based in the United States are not completely shielded from legal liability in American courts, the Supreme Court ruled Wednesday. The 7-to-1 ruling directly involves an arm of the World Bank, which provides loans for projects in poor and developing countries. The decision could have implications for other similar organizations involved in financing overseas development. The case centers on the Washington-based International Finance Corp., which provided a $450 million loan for the construction of a coal-fired power plant in the state of Gujarat in western India. Farmers, fishermen and a small village went to federal court in 2015 over alleged air pollution and water contamination from the plant. Here is the full story by Ann E. Marimow. Once this door is open…And you also can consider this another move back toward nationalist organization of responsibility. The UK government is due to hold emergency talks with industry leaders on Tuesday after discovering that the country doesn’t have the right pallets to continue exporting goods to the European Union if it leaves without a deal next month. Under strict EU rules, pallets — wooden structures that companies use to transport large volumes of goods — arriving from non-member states are required to meet a series of checks and standards. Most pallets that British exporters are using do not conform to these rules for non-EU countries, or “third countries,” as EU member states follow a much more relaxed set of regulations. Here is the full story, via Catherine Rampell.